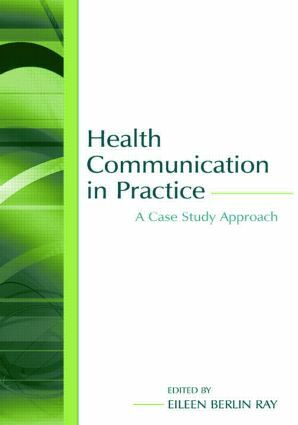 Health Communication in Practice: A Case Study Approach offers a comprehensive examination of the complex nature of health-related communication. This text contains detailed case studies that demonstrate in-depth applications of communication theory in real-life situations. *health campaigns designed to disseminate health-related information and change behaviors. Reflecting the changes in health communication scholarship and education over the past decade, chapters also explore current topics such as delivering bad news, genetic testing, intercultural communication, grieving families, and international health campaigns. A list of relevant concepts and definitions is included at the end of each case to help students make connections between the scenario and the communication theories it reflects. With its breadth of coverage and applied, practical approach, this timely and insightful text will serve as required reading in courses addressing the application of communication theory in a health-related context. Role Negotiation, Stress, and Burnout: A Day in the Life of "Supernurse"